The garage door project is coming along great. 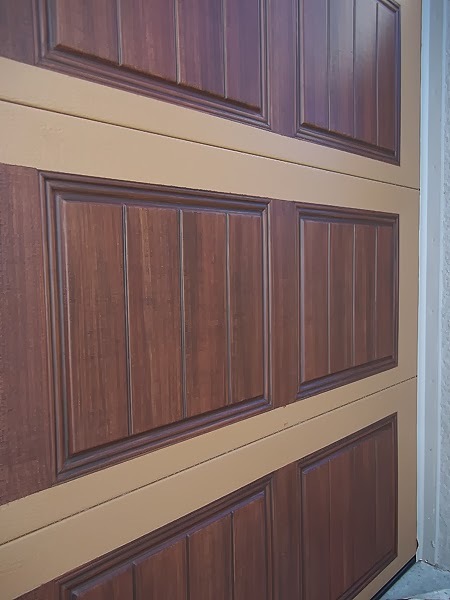 I completed painting the single garage door to look like wood and I am working on the double door now. This first picture shows the single door complete. 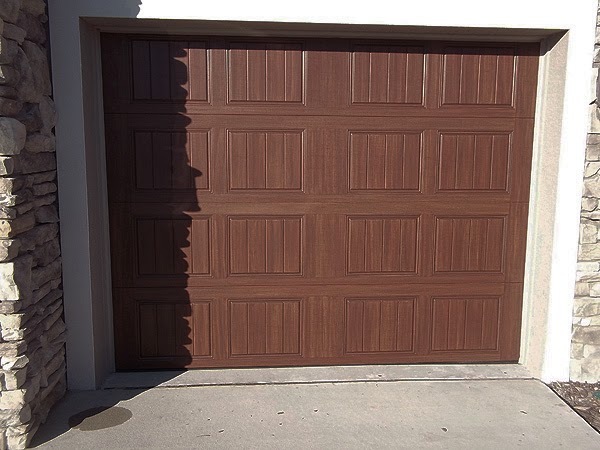 When photographing a garage door I try to get at an angle where the glare doesn't shine on the surface of the garage door too much. 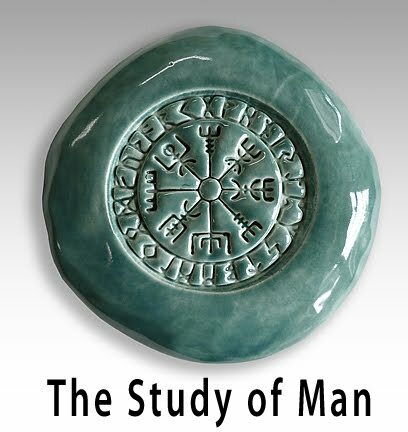 You would think it would be an easy task but it is a challenge. However, I really like the next three pictures below. 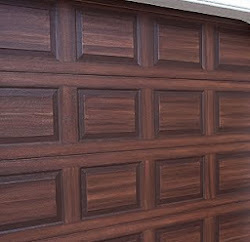 It shows the richness of a wood look that you can achieve with just two colors of brown over the base coat of paint. 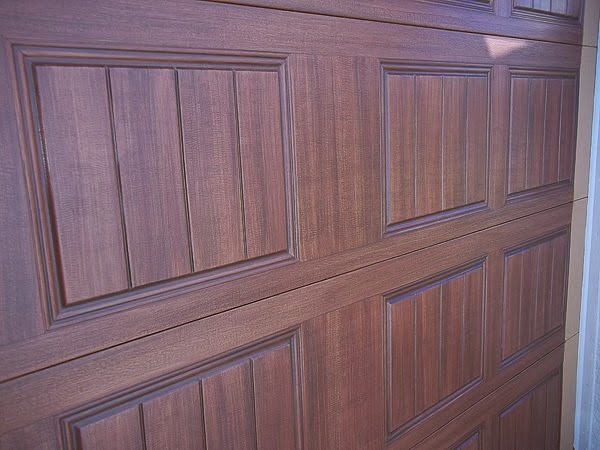 Painting those dark and lighter streaks of grain make the garage door look amazingly like real wood. 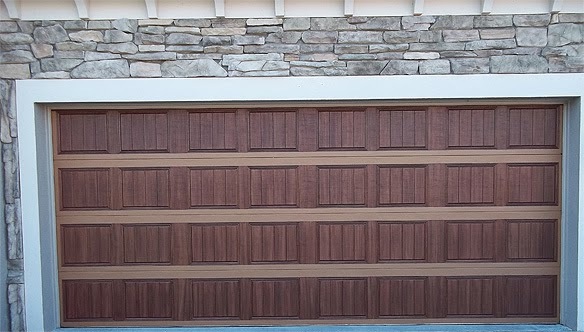 Man, I have to tell you that looking at the photograph below this steel garage door looks like real wood and it even looks better in person. After I finished painting the single garage door to look like wood yesterday I moved on to the double garage door. 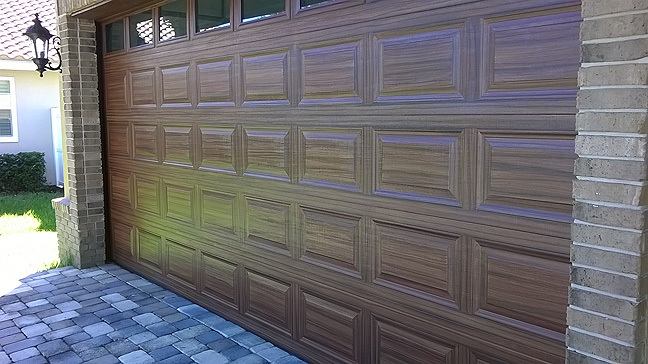 Between a half a day yesterday and the end of today I was able to create the wood look on all the panels of the double garage door. So tomorrow I hope to finish painting the two car garage door and apply the clear uv sealer. I should be able to do that if the weather holds. Even though I use Sherwin Williams Exterior SuperPaint for all the painting, I still apply a clear top coat over my work. I feel in doing that it not only helps the over all look of the doors but gives them extra added protection and longevity. 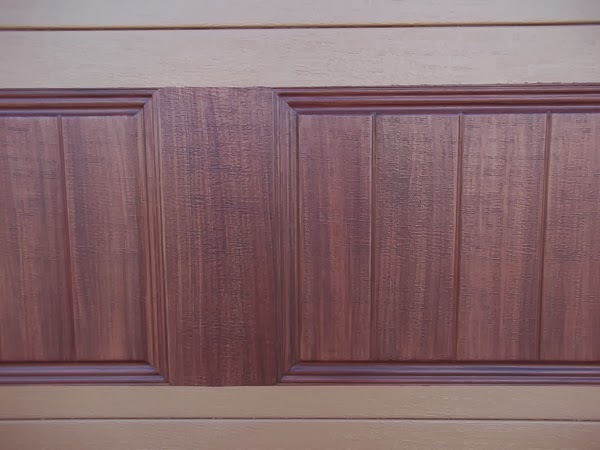 What colors were used for this door. I like them for the brown coloration. 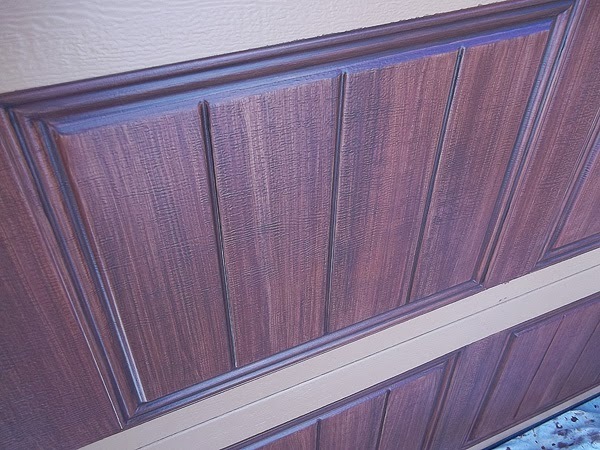 My carriage doors will look great with this color! The base coat color is a Sherwin Williams color called Toasty, then the first color brown is another SW color called Java, then the last and darker color brown is SW Turkish Coffee.